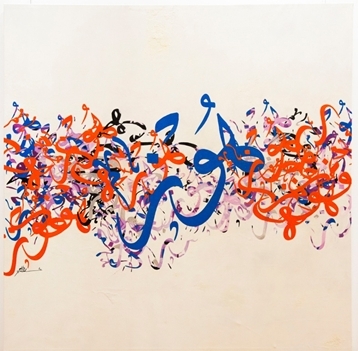 Saleh`s work ranges from time-honoured classical religious calligraphy to contemporary abstract work that utilizes this traditional art form. He enjoys experimenting with materials, colors and techniques to produce his evocative pieces. He has produced more than One Hundred Sixty artworks since 90`s.